This 2007 newly-built masterpiece is situated at 14324 Paradise Point Road in exclusive Paradise Port on an incredible private gated corner lot with a dock for a 150-foot yacht. 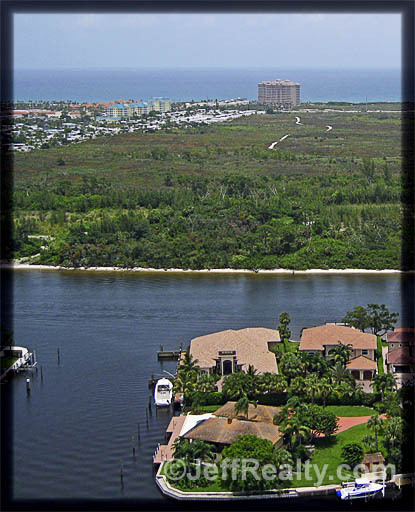 The home has incredible Intracoastal views with the Juno Dunes Nature area directly across the Intracoastal. Rarely does a homeowner get to have the best of all worlds, watching the boats, nature, along with the privacy of no homes across the way. Soaring ceilings, Saturina marble floors, and crown molding make this open floorplan more than inviting. The living room features beautiful views and a centerpiece wet bar. The family room has a magnificent honeycomb ceiling and is off the open gourmet kitchen. The dining room has a built-in buffet and double coffered ceilings. The Master Suite is the perfect oasis. French doors lead to the loggia. His/Hers baths with large California closets and exercise room. 2 split guest rooms have their own baths and the Club Bonus Room is perfect for play or a media center. The study has handsome paneled wood. Extras include a 3-car garage, vacuum kick plates, tankless water heater, and impact glass. The outdoor living is special. The lot is private and gated with room for 10+ cars. 297 feet on the Intracoastal Waterway and 159 feet of deep water on the canal gives you the best views. 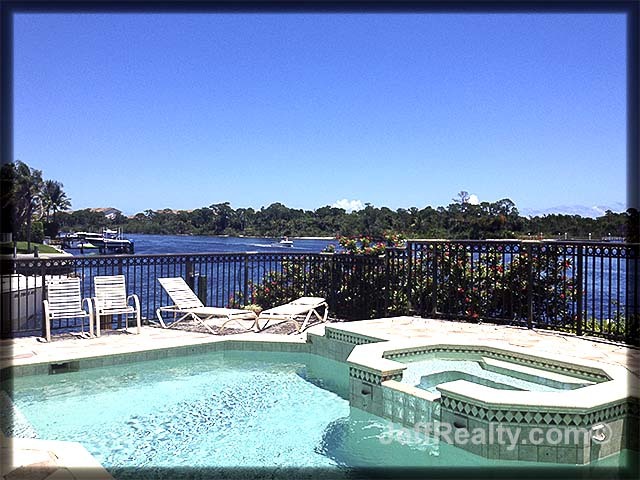 The covered loggia, grill, pool & spa and fenced yard make this truly a Paradise Port. Posted in Intracoastal, Paradise Port, waterfront on August 1, 2012 at 7:44 am.